These problems can not only smell horrible, but it’s also likely to take a lot of time and money to reverse the damage. That’s why Vac-Tec, LLC offers septic tank plumbing to property owners. No matter the size of your tank or the location of your property, we can come out and provide septic inspection to determine how often you need septic tank plumbing. Don’t wait until it’s too late; call us today! 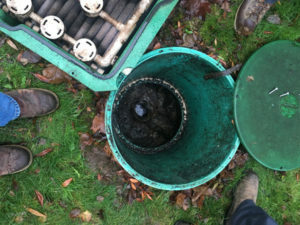 Our knowledgeable technicians understand the science behind proper septic tank cleaning and provide the best services in Buckley. It’s necessary to find a company that has reasonable prices and a great reputation. We have both! We always provide septic tank cleaning that will return your tank to its original condition and function. 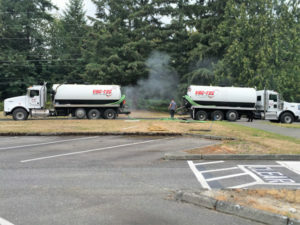 Why Should Buckley Residents Choose Us for Septic Pumping? Being on a septic pumping schedule means that you’ll have consistent care for your tank. This will prevent damage and issues down the road, and can also ensure that you never have to deal with last minute septic pumping to reverse bad odors or slow drainage. 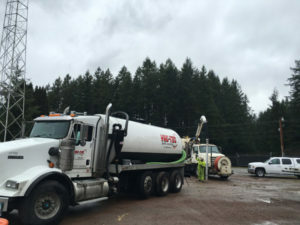 While others may use novice companies or attempt to do it themselves, you should always call professionals to ensure septic pumping of the highest quality. Vac-Tec, LLC are the specialists to trust when you need septic tank pumping in Buckley. Call us at Tacoma – (253) 777-4887 Seattle – (206) 339-0039 Olympia – (360) 338-6686 North Dakota – (701) 566-0045 to schedule a visit.